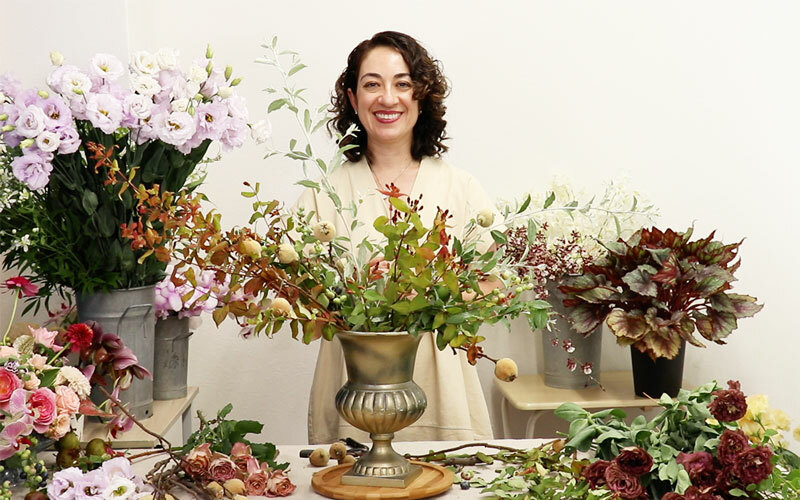 A large-scale flower arrangement using vessels for beginners! 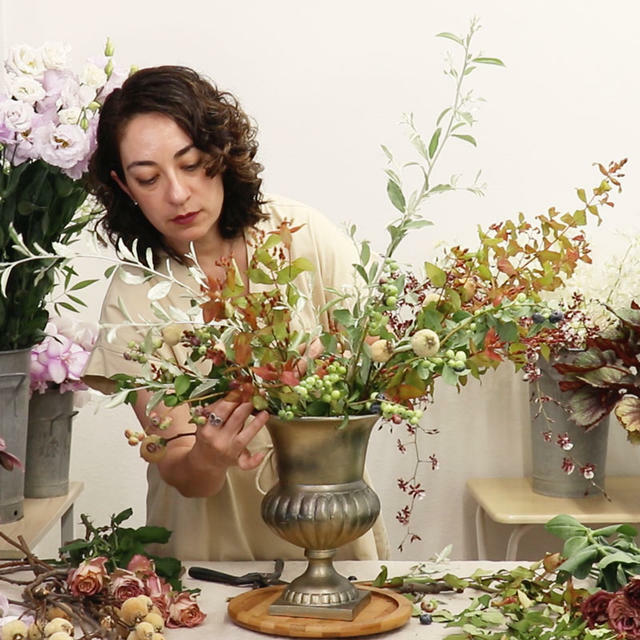 Start with this lesson if you are new to flower arrangements! 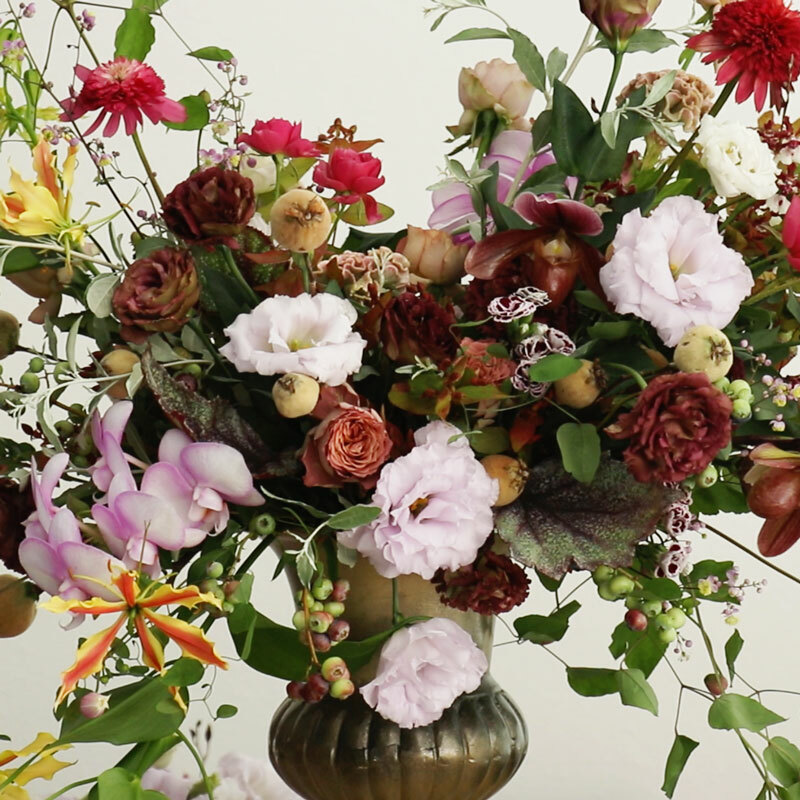 large-scale flower arrangements using deep vessels. The advantage of using deep vessels is that it doesn't require a kenzan. 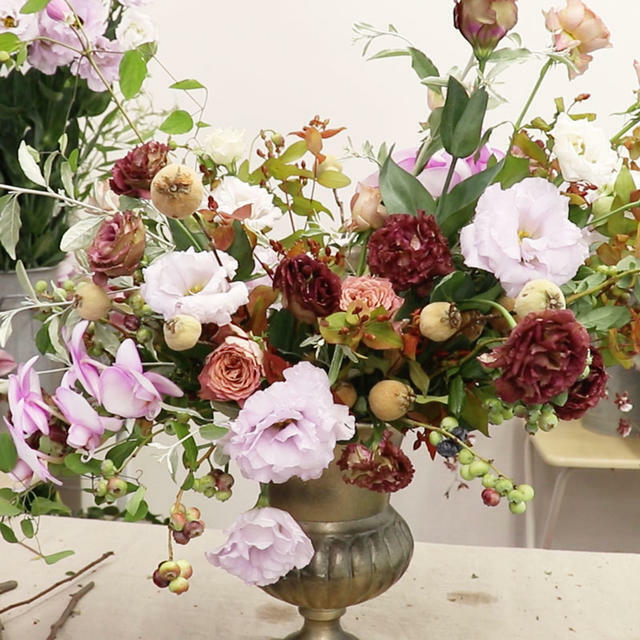 how to place the flowers in a way that maintains the overall balance. using flowers of different shapes and sizes. 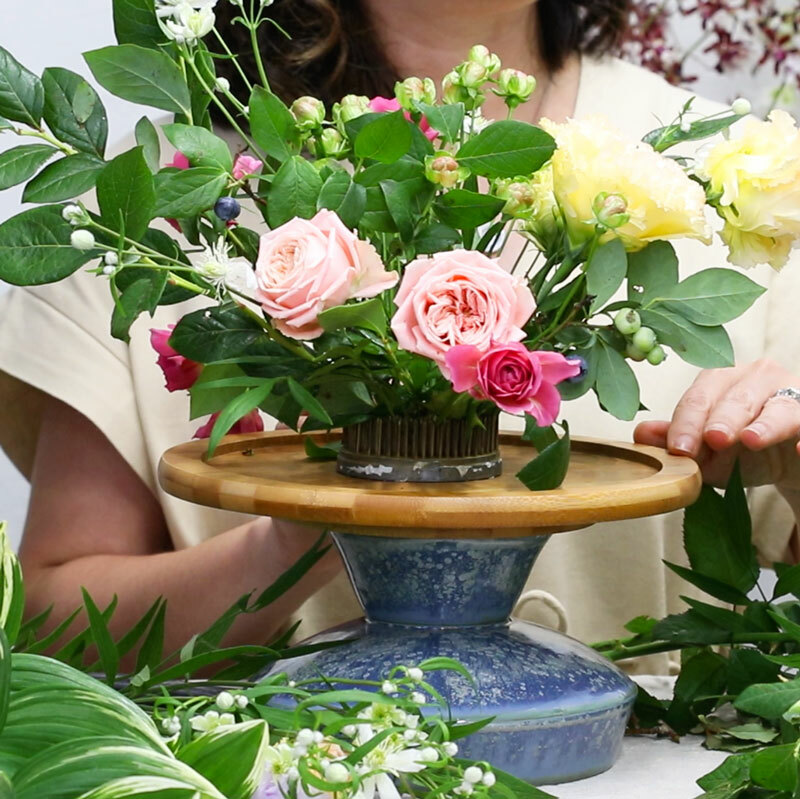 Being a lesson for beginners, it demonstrates a simple design despite using various types of flowers. 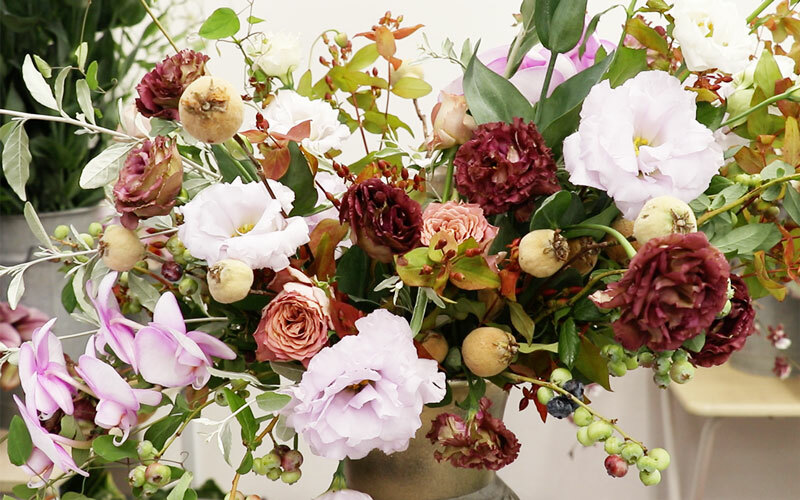 you can include a variety of flowers and plants without making it complicated. 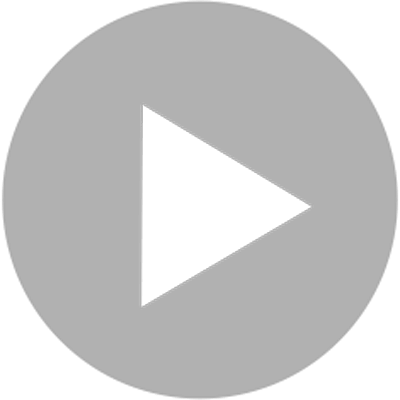 ◆Rules for creating a three-dimensional impression and movement. 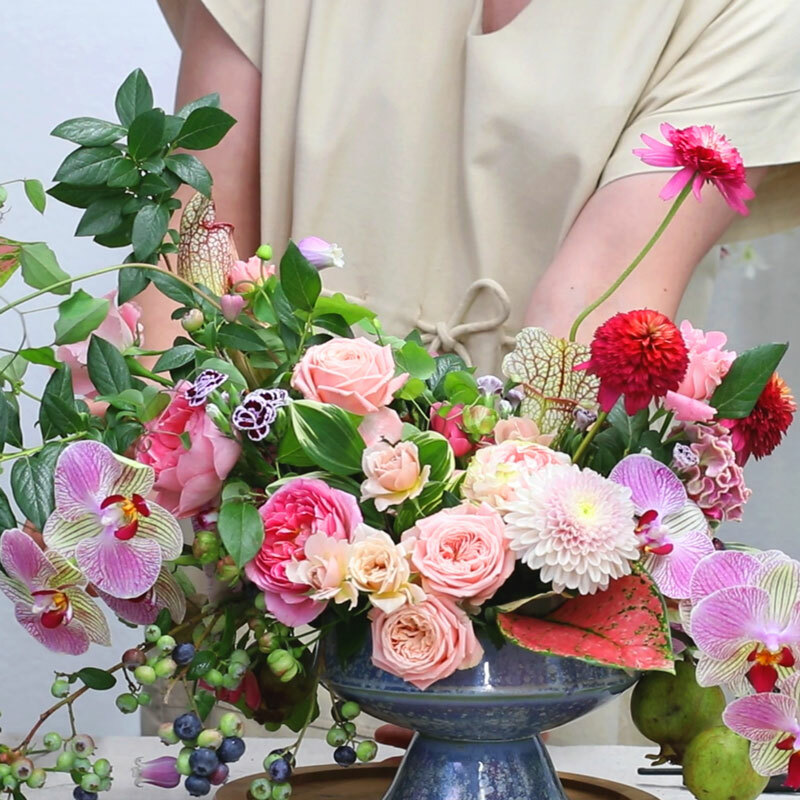 The points above are all important tips in creating flower arrangements. and try utilizing it in your own works too. 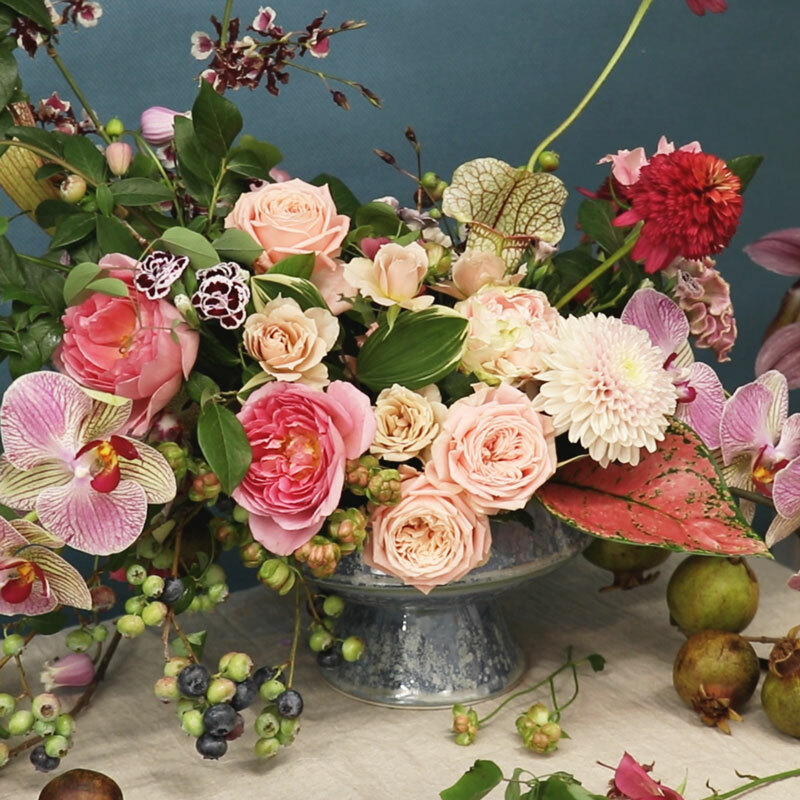 After mastering the procedures, try creating an arrangement with your own favorite flowers! are always the same, even with different types of flowers. 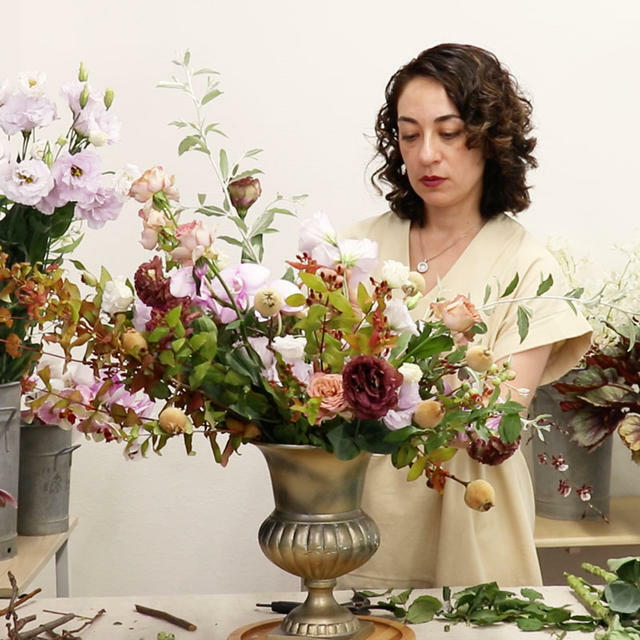 Once you complete the beginners' lesson, try the advanced lesson that covers how to further decorate your flower arrangements!